Across the parking lot from Hayden's Pharmacy. We work each day to meet your insurance service expectations. Our goal is to offer you auto and home insurance that meets YOUR needs as well as providing you life insurance products to help you prepare for the unexpected and realize your dreams. You can access my State Farm insurance office 24 hours a day 7 days a week. 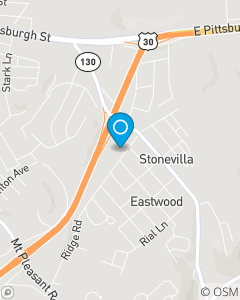 We proudly serve the insurance needs for the Greensburg PA area and all of Westmoreland County.